You'll be £19.99 closer to your next £10.00 credit when you purchase A Matter of Honour. What's this? The monument to Isaac Brock (1769–1812) on Queenston Heights in Canada, as high as Nelson's column in London, pays tribute to the military commander of all troops opposing the American invasion of Canada during the War of 1812. Brock's service during the War of 1812 includes leading the capture of Detroit. He was killed on the morning of 13 October 1812, leading a company of the 49th Foot in a counter-attack on the American lodgement atop Queenston Heights. Although Brock died and his uphill charge against the American muskets failed, the invasion was repulsed soon afterwards. 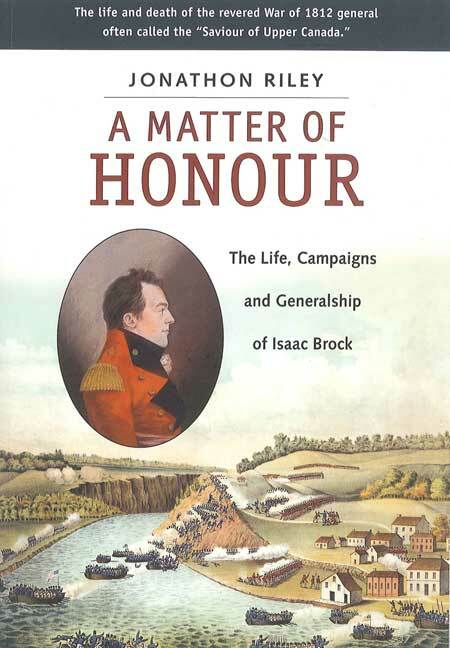 A Matter of Honour focuses on Brock's career as a military commander and also as a civil administrator for the government of Upper Canada. Early chapters deal with his life and military service up to 1791. The book also records his command of the 49th Regiment in the Low Countries and at Copenhagen up to his arrival in Canada in 1802.